Crown Books for Young Readers, 9780385390606, 304pp. Percy Jackson fans will embrace this humorous time-travel adventure that sends Mel and his friends right into the Civil War’s Battle of Gettysburg. 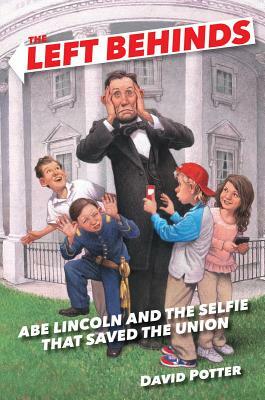 The kids receive their marching orders—they must somehow travel to Gettysburg, make sure what’s supposed to happen does happen, save the Union, and be home in time for dinner. No biggie. After all, it’s only the entire future of the country at stake. Includes an author’s note and information on Civil War reenactments and living history sites around the nation. David Potter developed a love for American history as a boy growing up near Morristown, New Jersey, where George Washington spent the winters of 1777 and 1779. He became interested in the Civil War after attending reenactments, memorials, and celebrations at the Gettysburg National Military Park during the 150th anniversary in 2013. You can visit David online at davidpotterbooks.com, on Facebook, and on Twitter at @DPotterBooks.